Track Kinetic Energy (Save Now)! Kinetic Energy is the second ball in the Upper Mid Price line for Track. It features the same outstanding Shuttle core as the original Kinetic, with identical core numbers. We've wrapped the core with an all new UMP Gen 2 coverstock. This makes the Kinect Energy the perfect ball to complement the reaction of the Kinetic. 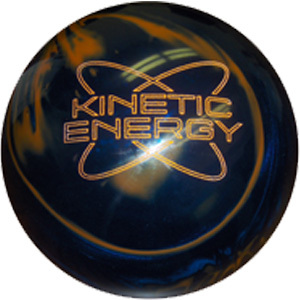 While Kinetic Energy uses the bowler's energy sooner, it still gives the huge backend you want and expect. Disclaimer Affiliate links from bowlingball.com, google adsnse used on this page.